Welcome home to River Watch, a new development built by Michael’s Homes. Conveniently located in Soddy Daisy near the marina, HWY 27, and it will feature a community pool. Michael’s Homes offers a lot of desirable standard features like Tech-shield on roof, Air Renew drywall products, crown molding, hardwood and tile floors, granite countertops, stainless appliances, tankless gas water heater, Magnolia Low E Windows, insulated garage walls and ceilings, insulated crawl space, floor insulated, and more! Michael's Homes, LLC Is Providing A 1 Year Builder Warranty. As you enter the foyer, you will notice the formal dining room on your right and the great room with fireplace that opens to the vaulted eat-in kitchen with lots of windows for natural lighting, center island, gas cooktop, stainless appliances, granite countertops, pantry, and access to the covered rear deck. The main-level master bedroom with coffered ceiling has an en-suite and walk-in closet. There is an additional bedroom, full bathroom, utility room, and 2-car garage on the main-level. The upper level offers two additional bedrooms, full bathroom, and a bonus room. 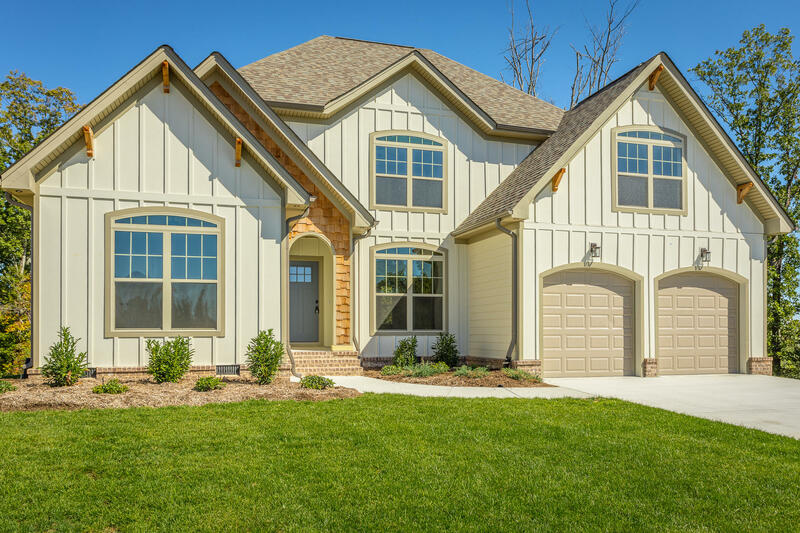 If you are searching for a new construction home for sale in Soddy Daisy, then be sure to Call The Paula McDaniel Group at 423-760-4603 or at Real Estate Partners Chattanooga LLC at 423-362-8333 to schedule your tour of 2165 River Watch Drive today! Buyer is responsible to do their due diligence to verify that all information is correct, accurate and for obtaining any and all restrictions for the property. The community pool is going to be similar to the picture shown and is subject to change. Equal Housing Opportunity. Licensed in TN and GA.